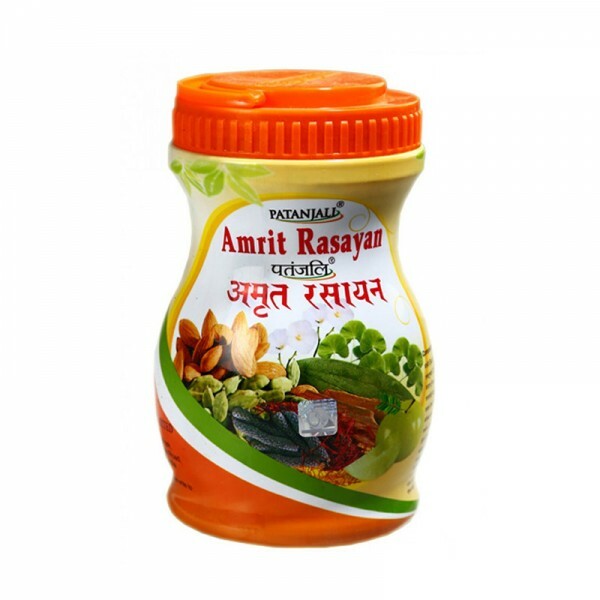 Paste of Amalaki, cow's ghee, Keshara, Brahmi, Shankha-pushpi, almond, Vamsha-locana, Ela, Tvak (cinnamon), Shatavari, seed of Kapi-kacchu, Pravala Pishti, etc. Exceedingly useful for rejuvenating the body and it gives full nourishment to the brain; it is wisdom promoting, cooling and a promoter of strength, nourishment as well as health of the whole body. Nourishes the body, promotes lustre and improves the eyes. Cooling & rejuvenating, which is to be particularly administered in the summer season. An excellent tonic for students & intellectuals as well. To be taken on empty stomach with milk or after breakfast with water, & in the evening after dinner with water or milk. 1-2 teaspoonfuls (10 gm. - 20gm.) twice a day.